﻿Citrus Finance understands how important it is to have access to your credit history. I​f you've ever applied for credit or a loan (whether or not you went ahead), you are likely to have a credit report. Credit providers use the information in your credit report to help work out whether you can afford a loan, or a larger credit limit on an existing loan, and whether you are likely to repay it. You are entitled to check your credit report for free once a year. If you need to see it quickly there may be a charge but if you are prepared to wait a little longer (around 10 days) it won't cost you anything. It's a good idea to check your credit report every year. As well as affecting your ability to get credit, incorrect listings can alert you to things like identity theft, where other people use your personal information for financial gain. 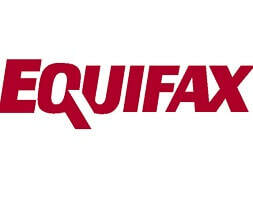 There are several companies who will be able to provide you with your credit information, one such is Equifax. Click on the logo below to take you to their home page for further information. Want to find out more? Let us call you. ﻿Find out more about the team at Citrus Finance by clicking the button below. ﻿Click the button below to be taken to the calculators page.